My guest is an amazing horse lady! Denise Bean-Raymond is the author of the globally released book titled, “The Illustrated Guide to Holistic Care for Horses”. This book has received excellent reviews from The Equine Journal, The Horsemen’s Yankee Pedlar, The On-Line Radio Show Animal Talk Naturally, Equine Wellness Magazine and has been adapted as part of the Holistic Animal Nutrition Certification program at the Global College of Natural Medicine. The International Association of Animal Massage & Bodywork’s President Jonathan Rudinger gave this book an outstanding review as well. 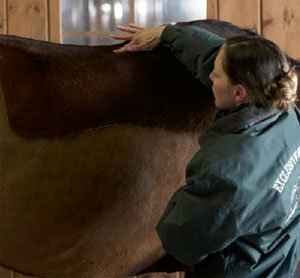 Denise is the owner of “Exclusive Equestrian Services”offering Equine Massage Therapy treatments and Equine Acupressure Therapy.